Built in the early 1940’s and last serving as home to a father + son welding shop, this industrial space was renovated into creative studios and office space. The renovation merged the raw existing shell and its metal workshop spaces into professional offices for architects. The building’s history and cultural context blends well with the Utah architecture firm’s culture of artistic creation within a collaborative working process. The architecture creates an open and inviting environment for the architects and their clients and is focused on a space for producing inspired design work. 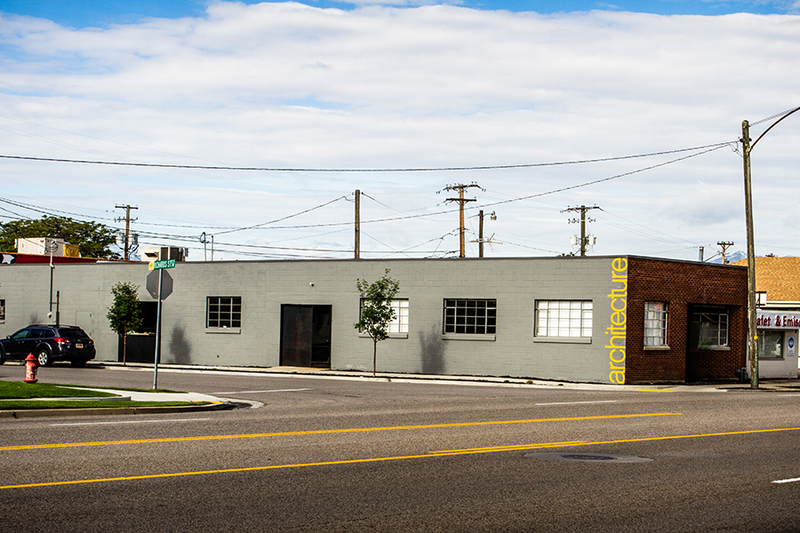 The studio is located in a developing creative area of the city adjacent to the popular Sugar House district, with nearby freeway access and within walking distance of both a major public transit station and a local streetcar system. Private workstations for focused work occupy the perimeter of the main interior space and the design is anchored by an extended central worktable where team members interact, collaborate and conceptual ideas are formed. The original garage area was repurposed by the architects to serve as a flexible space for a model shop, community gatherings and artist and architecture events and exhibitions.